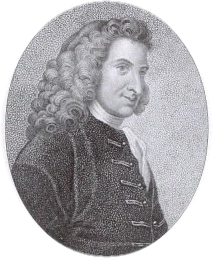 Henry Fielding (22 April 1707 – 8 October 1754) was an English writer and magistrate. He was born in Sharpham, Somerset. He wrote many plays from 1728 until 1737. Then, he wrote many famous novels such asTom Jones, Joseph Andrews, and Amelia. He was friends with the writers Samuel Johnson and Christopher Smart and the politician William Pitt the Elder. Fielding went to school at Eton College. In 1728, he left school to go to London and write plays. The License Act shut down the London theatre in 1737 and Fielding began to write novels. Then, he became a magistrate and created the Bow Street Runners, London's first police force. In 1754, he became sick and he went to Lisbon, Portugal to be treated. He died in Lisbon and was buried in the English Cemetery. This page was last changed on 29 September 2017, at 11:34.